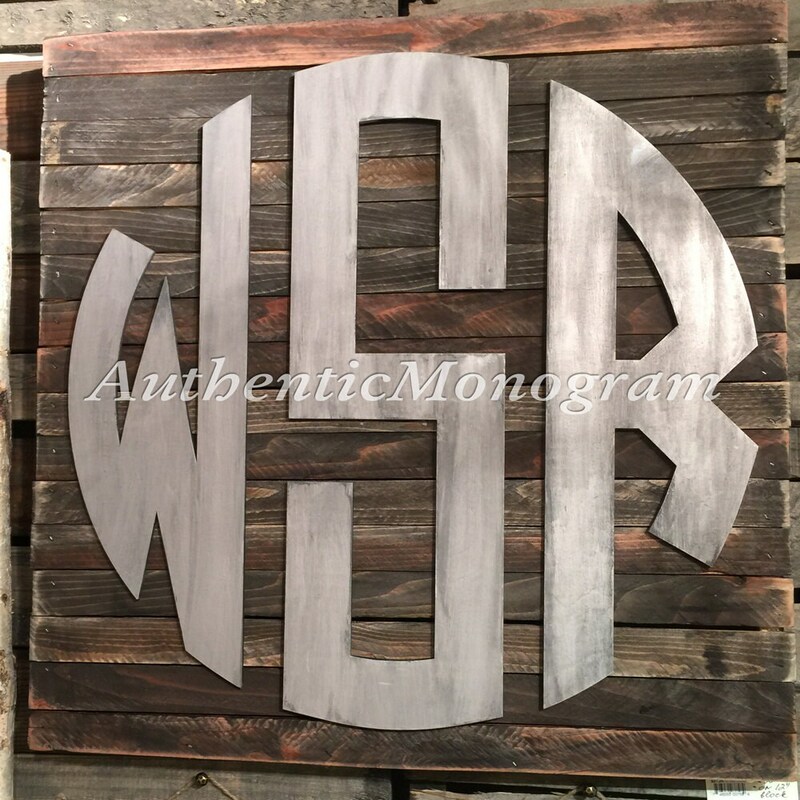 This monogram comes UNPAINTED and custom cut from high quality 1/4" Baltic Birch plywood, natural high quality birch wood and is very elegant looking. Weathered Board is painted. 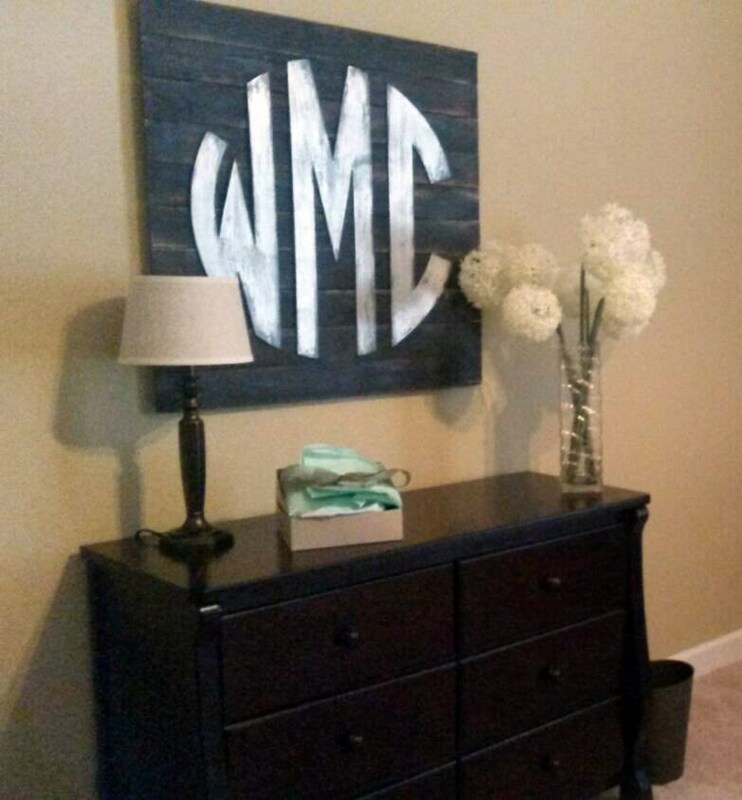 If you would like us to paint your monogram, please select color and add this listing to card (Color Selection Option) - https://www.etsy.com/listing/200269797/monogram-painting-fee-wooden-monogram. 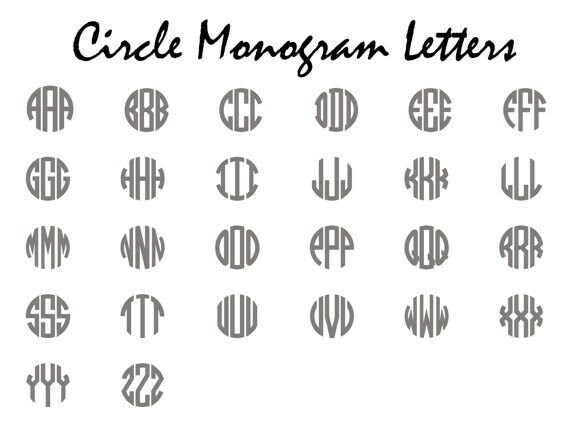 LETTERS: in the comments to seller box during check out - please let us know what letters you would like in EXACT ORDER of how you want the letters to read - from left to right. The most common way for monogram is to have the LAST NAME initial in the MIDDLE (Example: Anna Marry Franklin- aFm). For the couples, the wife's first name comes first and then the couples last name in the middle and the husband's first name - on the far right. (Example: Marry and Richard Franklin-MFR). 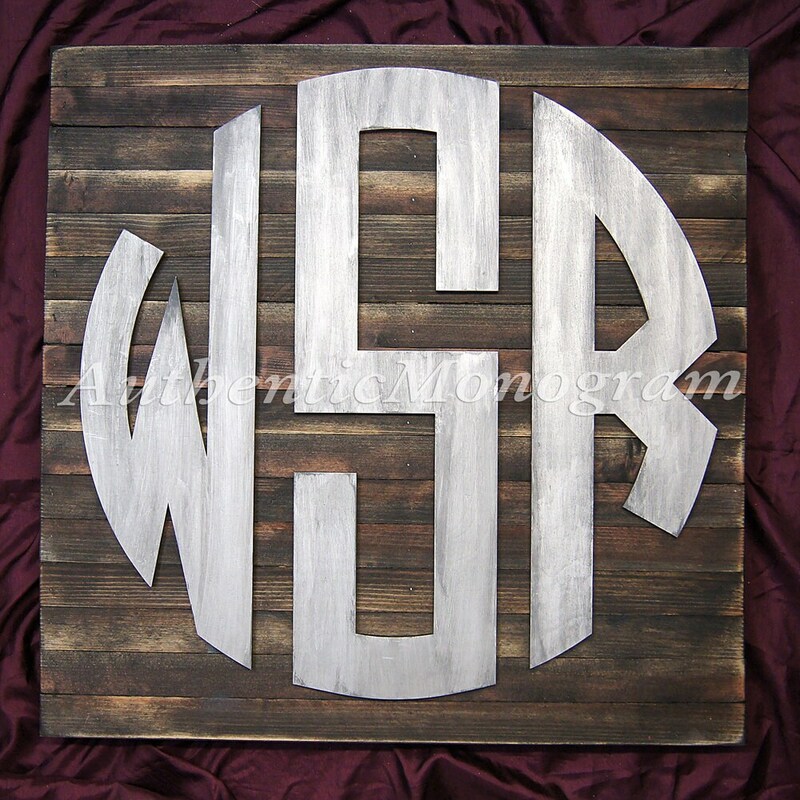 Again, when selecting your initials we cut for your liking, so you Choose!